Where's the Best Hospital for Your Health Condition? The moment you receive a serious medial diagnosis the focus of your life changes. How do you choose a hospital best for your specific condition? Solely rely on your doctors? They will usually steer you to the facility where he or she has privileges or other affiliations. Only follow a hospital’s reputation? You know you deserve more than that. Ask friends and family? It is rather time-honored as well as unreliable. LINKMedicine helps you make rational decision by obtaining insights through long-term basic and clinical research data. Empowered to make decision with confidence, just like a Pro! By analyzing their data for your particular health condition, we link you to the best medical expertise. Even the most renowned hospital is not the best for every disease. Taking expertise into consideration is what you are least good at. We focus comparing experstise and you can take care of others. 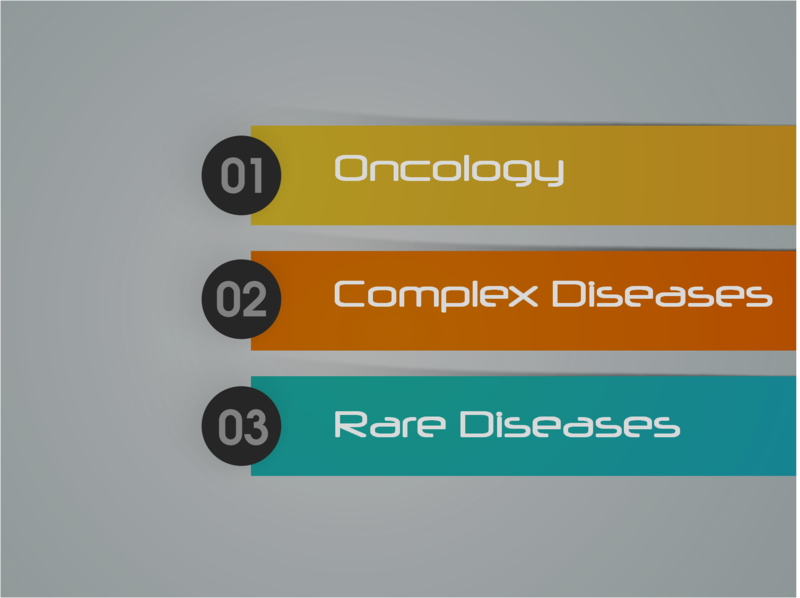 Our platform exemplifies expertise in linking best medical expertise for the following diseases: oncology, complex disease and rare disease. Common medical problems such as heart disease, diabetes, and obesity do not have a single genetic cause—they are likely associated with the effects of multiple genes in combination with lifestyle and environmental factors. Conditions caused by many contributing factors are called complex diseases or multifactorial disorders. Cancer is also a complex disease that cannot occur without dysfunction in multiple systems or sequence of gene-environment interactions. Current findings prove that cancers from person to person vary widely in their genetic makeup, and that even tumors within the same body may be different. Finding cure is a daunting task that truly requires expertise for the best outcome. Rare diseases typically arise from a known genetic pathway permitting therapeutic opportunities to be explored. Expertise on rare disease is typically isolated to specific institutions and researchers. There are some 7,000 rare diseases. 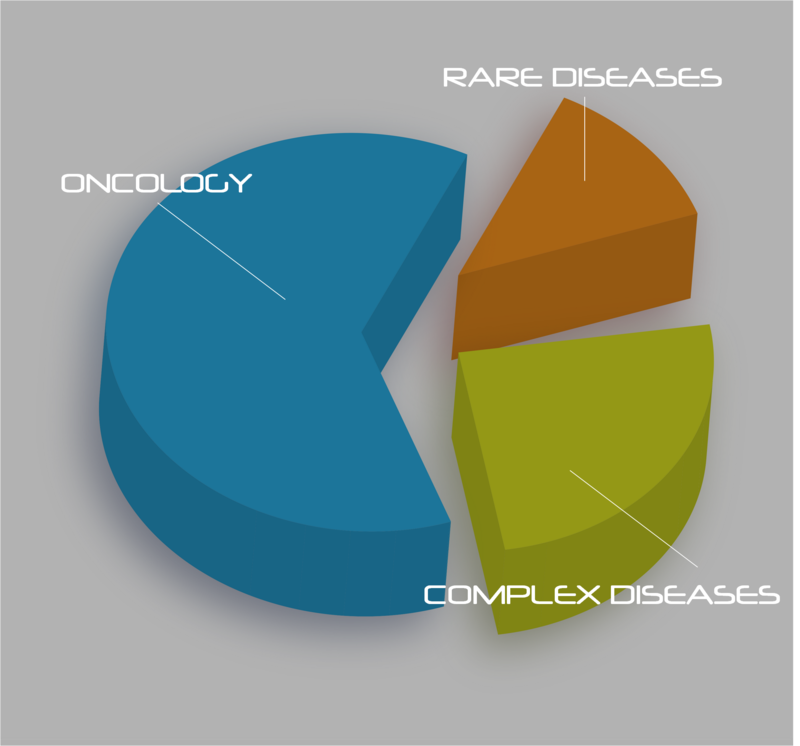 Our users consist of patients from oncology (65%), complex diseases (25%) and rare diseases (10%), as of 12/31/2016. A 29-year old male found out there was a tumor growing in his kidney with metastasis to lymph nodes and lungs. His devastated families tried to find the best hospital for his renal cancer treatment. Papillary renal carcinoma (PRCC) is considered to be rare, only accounting for about 8 percent of kidney cancer cases. (Nature Reviews Urology 7(5):245-257, 2010.) We analyzed his PRCC and related conditions, helped him seek evaluation from top institutions: Massachusetts General Hospital (MGH), Johns Hopkins (JHMI) and MD Anderson (MDA). The physicians in MGH and JHMI suggested the young renal cancer programs at National Cancer Institute (NCI) to manage this particular tumor case. The patient underwent a 9-hour-long surgery in NCI in Aug 2016. The patient is still alive as of 12/31/2016. A 53 year old male requested to find the best hospital for this pancreatic cancer. The patient was diagnosed metastatic pancreatic cancer with Kras mutation. He initially had distal pancreatectomy for pancreatic adenocarcinoma. The patient had treatment with chemotherapy, radiotherapy and immunotherapy, but the conditions still progressed. Their physician in local hospitals were out of opinions. 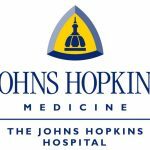 Our analysis showed that, among all top hospitals, Johns Hopkins tops in all expertise categories for his condition from frontier research to clinical excellence. We helped the patient obtain Medical Second Opinion (MSO) from Johns Hopkins, in which physicians pointed out serious problems in his current regimens, and made critical suggestions toward future treatments. Their expertise suggestion substantially changed the way the patient was treated! The international patient is 60 year old, male, with glioblastoma (right temporal lobe) S/P gross total resection and intraoperative radiation. The patient and families intended to seek medical care in United States. Our analysis of his diagnosis found the Massachusetts General Hospital (MGH) at Boston, MA has the most overall expertise for his glioblastoma condition. The physician team in MGH recommended radiotherapy; the patient was seen by MGH physicians in Sept 2016. Essential thrombocythemia (ET) is a rare chronic blood disorder characterized by the overproduction of platelets by megakaryocytes in the bone marrow. It may, albeit rarely, develop into acute myeloid leukaemia or myelofibrosis. A 35 year old female was bothered by ET for years and decides to seek better expertise besides her local provider. Her condition has progressed to Myelofibrosis (MF). We helped her analyze her conditions and found that Mt Sinai at New York City, instead of other top-ranked hospitals on honor roll, showed the most expertise for these rare situations. Upon reviewing the data analysis report, the patient chose to come to New York to manage her ET condition.